Open to all singles (non-members and all So Klose members are welcome). 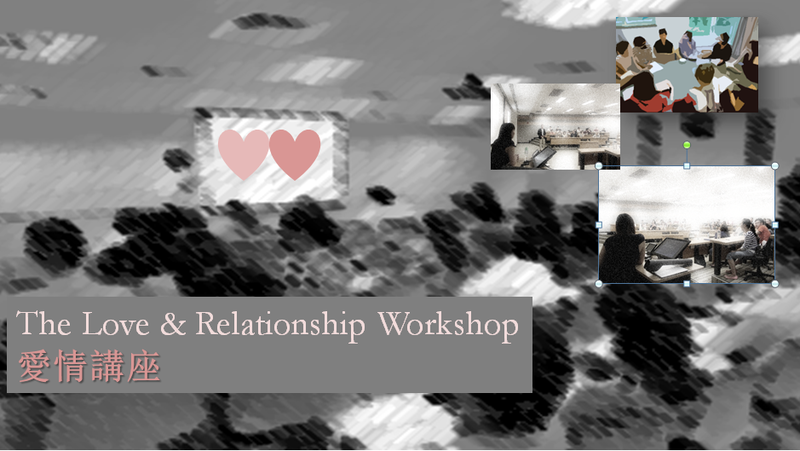 We will launch a series of workshops on love and relationship topics soon. This workshop series addresses the common issues and questions facing singles involved or interested in romantic relationships. While the emphasis will be on romance in Hong Kong culture, we will also invite some special guests to share they view and discussion on the different relationship topics. Topics will be announced soon. If you are interested, please email to soklose1@gmail.com or whatsapp to 54082087 for further information.